On a late night talk show, William Shatner said he always thought of himself as a “macho” guy but passing a kidney stone was a pain that he never could have imagined. As the pain began, at first he said “a little gas. No problem. I can handle this.” Then it turned into EEE-YIKES! So kidney stones can be a nightmare even for Captain Kirk. It’s well known, a body chemistry that produces one kidney stone is at high risk for producing more. But the truth is that kidney stones, once diagnosed, can be almost 100 % preventable. Don’t look at me so funny. I’m quoting the infamous Jonathon Wright M.D. Harvard graduate, who over three decades practically invented the modern science of applied nutritional biochemistry. Some people with kidney stones who continue to be at risk think they have to avoid calcium and excessive vitamin C and all kinds of side tangents as they blindly try to prevent the painful exodus of kidney stones. You may know, minerals have a balancing effect. Much like zinc displaces copper and selenium displaces mercury; calcium is also displaceable. Maybe a better word is mobilized. According to Dr. David Watts who holds degrees in biochemistry and chiropractic, the author of the book “Trace Elements and other Essential Nutrients,” the factors that mobilize calcium are the following: vitamins B6, B3, vitamins A and E, and the minerals magnesium, phosphorous, sodium, zinc, molybdenum, and potassium. This means that if there is a deficiency of any of these minerals, calcium will tend to build up or accumulate. I like the word picture of a teeter totter. If one end is low (trace minerals) the other end (calcium) will be elevated. Remember just because we have calcium, that doesn’t mean it will end up in our bones. It’s no secret how deficient the American diet is in trace minerals. We could assume that if we increased our levels of the nutrients that displace calcium, we would have the miracle kidney stone formula and everyone would live happy ever after. Well, what does the research say? To get these amounts of magnesium and B6, we can depend on Mg-Zyme and B6 Phosphate by Biotics Research. Mg-Zyme contains magnesium aspartate, gluconate, & glycinate. These forms are more bio available than the oxide form used back in 1974. B6 Phosphate is 20 mg of the phosphoralated form of B6 and is more bio-available as well. We can also get similar products from Standard Process. Another landmark prevention study was conducted in 1991, this time by the British Journal of Urology. It was a five year prevention study using 10 grams of rice bran after meals twice per day. 10 grams is less a tablespoon. 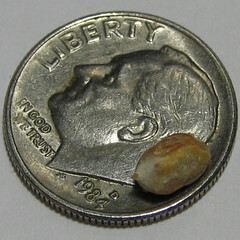 The incidence of new calcium oxalate kidney stones dropped to 83.4%. This is a stunning result. 83.4 % from a few teaspoons of fiber yet I have never heard of one single urologist alerting their patients to this method of prevention. Along with the above principles of using magnesium and B6, Dr. Mae Beth Lindstrom from Minnesota, shared this protocol when her patients are in acute kidney stone pain. She uses a liquid form of magnesium chloride called Aqua Mag-Cl: 1 tsp every minute for acute pain and increasing the time to 5-10 minutes when pain is reduced. When the patient is out of pain, decrease the dose to 1 tsp every 2-3 hours (or 3-6 times per day). You know when you have too much magnesium because magnesium draws water to the bowel and will cause diarrhea. A good clean out is not a bad thing, but we want to walk that fine line of a loose but formed stool. The taste is definitely salty as the name implies. In this case, mix with lemon or lime juice which has some anti-kidney stone properties. If the taste is too salty, use organic tangerine or pear juice. The final component in Dr. Lindstom’s program is Phosphatidylcholine: 2 capsules three times per day. Let’s go back to Dr. Watts’s list of elements that displace calcium. Phosphorus was one of them. So the phosphorus will help with the calcium. This particular form of choline is very beneficial for cell membranes and will protect the cell in the kidney and assist stones to slip out a little easier if things get to that point. Hopefully you can address the problems earlier and be on a preventative dose of magnesium, B6, and rice bran. 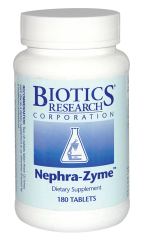 Also, you may want to consider using Nephra-Zyme. It has the B6, magnesium, and vitamin A. It also has botanical agents to protect the kidney from oxidation. It neutralizes the free radicals that are present as detox pathways unload toxins. And remember using a high quality multivitamin like ProMulti-Plus will provide all the cofactors needed to mobilize calcium and get it into the bones where it is best stored. Below is the protocol we use in our office. 10 mg of B6 and 300 mg of magnesium. For people with acute kidney stone problems. Aqua-Ma-Cl™ 1 tsp every minute for acute pain, increase time to 5-10 minutes when pain is reduced. Each tsp contains 200 mg of elemental magnesium. Dose when out of pain is 1 tsp every 2-3 hours (or 3-6 times per day) mix with lemon or lime juice or mixed EFA’s use until the stool is loose and then back off to the dose that will create a loose but formed stool. B6 Phosphate 5 tablets 3 times per day. Organic Lemon or Lime (better) juice concentrate straight is best if you can take it. If you can stomach it use 16 oz per day. If you have to dilute it you must use spring water to dilute it. In 1974, two Harvard researchers found that magnesium oxide (300 milligrams daily) and vitamin B6 (10 milligrams daily) could reduce the risk of recurrent calcium oxalate stones by 92.3%. Their research was published in the Journal of Urology. In 1991, the British Journal of Urology published another prevention study. During a five-year investigation, researchers determined that the use of 10 grams (less than 1 tablespoon) of rice bran twice daily after meals reduced new calcium oxalate kidney stone formation by 83.4%. .
Nephra-Zyme™ Contains vitamins A, C, B-6, magnesium, as well as herbs known to support renal function and known to assist with the resolution of edema; 4 tablets, 3 times a day with meals. The product was designed for patients who are vegetarians and require renal support and for patients who require renal support during chelation (the reduced glutathione assists with the removal of metal body burdens); 3-5 tablets, 3 times a day with meals. For acute renal problems or edema, increase to 4 tablets, 5 times a day for three days then return to 4 tablets, 3 times a day until the problem abates. The statements made herein have not been evaluated by the U.S. Food & Drug Administration. Any products mentioned are not intended to diagnose, treat, cure, or prevent any disease. Similar programs are available for Gall Stones too. More pictures of the various types of stones. This information originates from Biotics Research our ‘go to’ company for nutraceuticals. New Website and a Blog!